While men can select from most of the services we offer, here’s a list of the services that are most popular with our gentlemen clients. Deep tissue massage releases the chronic patterns of tension in the body through deep strokes and finger pressure. It combines the neutralization of trigger points within the body with the application of pressure to areas of tension to relieve pain and stress. This therapeutic treatment promotes renewed energy and ease of movement. You don’t have to age gracefully or even apparently! Counteract the aging process with this proven-effective advanced treatment specifically formulated for men. Rejuvenating Caviar and repairing freeze-dried Escutox™ replenishes skin while counteracting aging aggressors. 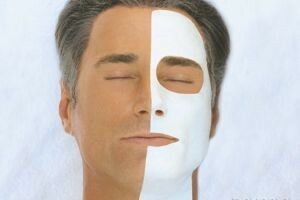 Visibly resurfacing, this mask promotes healthy, youthful skin. Using skin care products created for his particular needs. This treatment targets clogged pores, sensitivity and razor burn while promoting total relaxation. 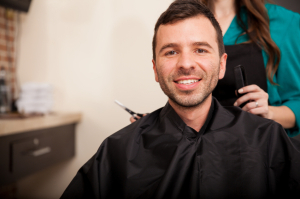 This treatment includes deep cleansing, steaming and extractions. As a final step, a treatment mask is applied to refine the pores, soothe and hydrate the skin. Allow us to pamper your hands and nails by incorporating nail shaping, cuticle minimization, soothing forearm and hand massage then buff to a natural sheen.